Native origin unknown but probably from India. Cultivated throughout tropical Asia (South-East Asia). Afghanistan (Hazarajat), China (Cultivated in Fujian, Guangdong, Guangxi, Sichuan, Taiwan, Xizang/Tibet, Yunnan), India (Punjab), Pakistan. 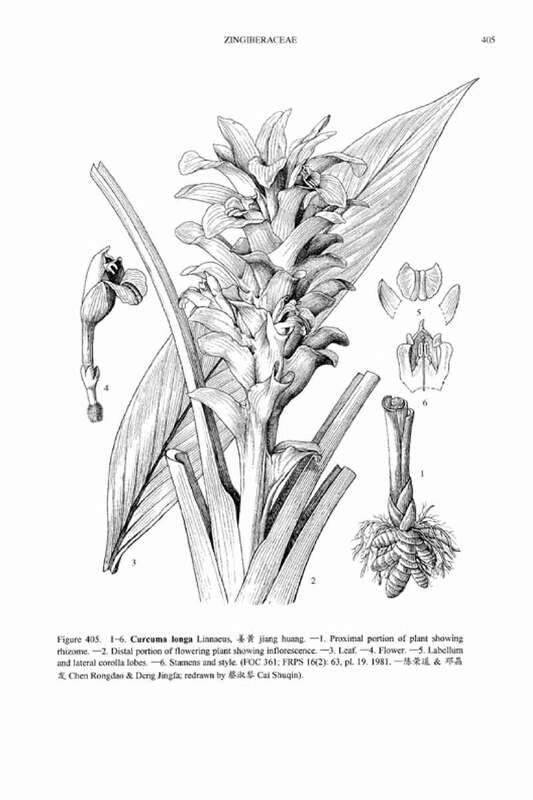 Curcuma longa is a rhizomatous herbaceous perennial plant and can reach a height of about 1m tall. It requests a hot and humid tropical climate, rich and well drained soils. 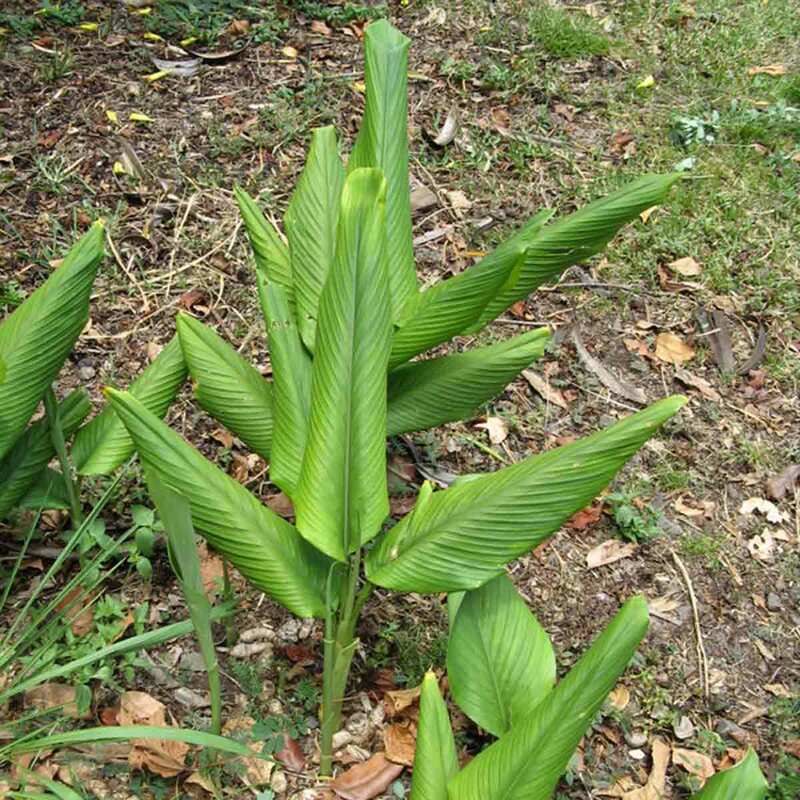 It is used as a spice, cosmetic and dye and also as tonic and diuretic. 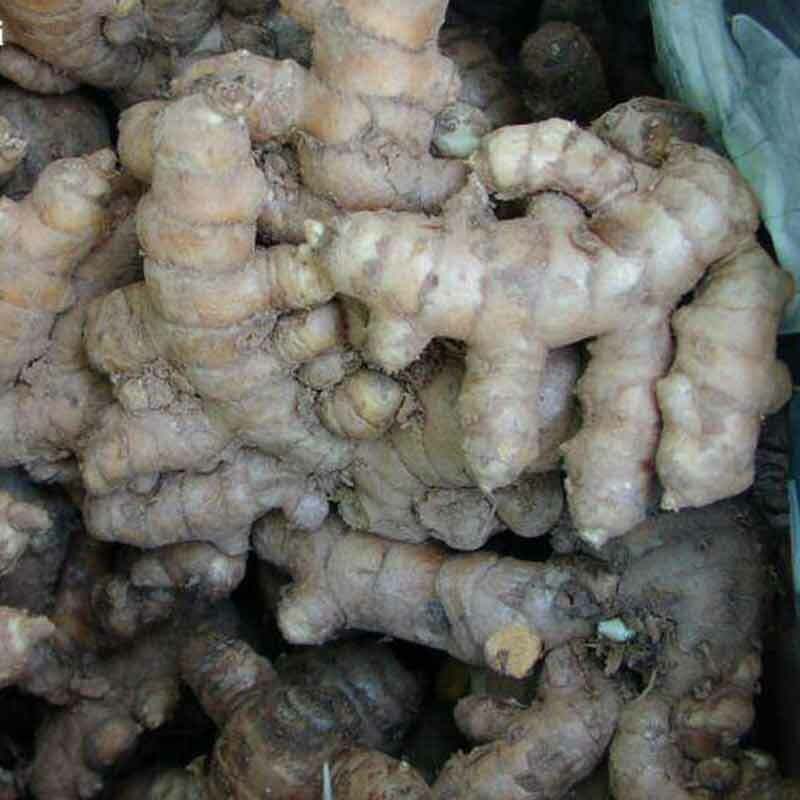 The yellow dye contained in the roots is a mixture of curcuminoids, demethoxycurcumin and bis-demethoxycurcumin. The dye content is variable depending on the season and the cultivar. It assumes protective properties throughout Asia. It has always had a symbolic place in the ceremonies and religious uses in India, Malaysia, Indonesia, Pacific islands (marriage, birth, initiation, death ...). In particular, it is used for dyeing the dress of the Buddhist monks. It makes a poor fabric dye, as it fades with exposure to sunlight; however, it is commonly used in Indian clothing. Its use is mentioned in the "Jiangxi sheng dashi" or "Main annals of Jiangxi province" by Wang Zongmu (1523-1591) and Lu Wangmai (1515-1600). The first uses date back to the Heian period (794-1185). The dye was used to dye cotton canvas bags in which were stored the screens because it contains an insecticide. The color is pale yellow. It is used in printing ukiyo-e. It is mainly used in dyeing fabrics. When harvesting the lateral rhizomes are taken to be cut into pieces and serve for replanting. The harvest takes place at the end of the first year when the leaves are withered. The plants are gathered annually. They can be used fresh or prepared as a powder. In that instance, they must be boiled for several hours, then peeled from their skin and dried in the sun or in an oven. After complete drying they will be ground into powder. Fresh, they are crushed into a paste for immediate use. Mordants used are aluminum (orange-yellow), iron (brown-black). Harvesting takes place when the leaves wilt, when the plant is about 1 year old. The rhizomes are boiled and then dried in the sun. They are ground into powder when they are dry or in paste when they are fresh for immediate use. To extract the dye, the plant is immerged in alcohol. Dyeing of papers is performed in two ways: pulp dyeing (sukizome) or sheet dyeing (hitashizome by dipping or hikizome by brushing). To dye paper by soaking, the sheets are plucked one by one between two wooden sticks by their small side. This will keep the sheet flat during soaking. Usually the pulp is dyed in the vat before making the sheet. Harvesting takes places in autumn. The roots are cut into small pieces and left to swell in water; then they are crushed. Le dye bath is prepared in three infusions of 10 to 20 minutes. After filtering the three infusions are mixed. The papers are dyed in three ways: dyeing of the pulp (Seonyeombeop), dyeing of the sheet by dipping, brushing and spraying (Huyeombeop ), combination of the both methods (Honyeombeop). Then the paper can be hammered.